When you're building a skyscraper with triple-digit numbers of storeys, there are some rather unusual building challenges to face — like the fact that the entire building can sway with the wind, fast enough to make people sick. 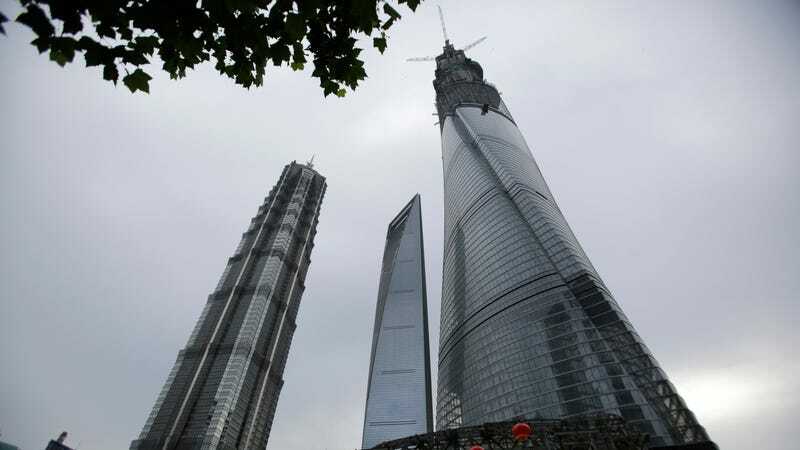 The Shanghai Tower solves that problem in a scientifically awesome way: using magnets. The problem of winds and tall skyscrapers isn't a new one. The issue isn't so much the pure force of the wind — skyscrapers aren't usually in danger of being blown over — but rather, the oscillations that come with the gusts. They can be big enough to send the top of the tower meters in either direction, giving occupants a bad stomach (and probably a terrifying case of vertigo). More problematically, frequent motion can cause structural fatigue, which aren't two words you want to hear when your office is half a mile off the ground. The traditional solution has been a pendulum. Hang a big weight close to the top of a tower, and the inertia of that mass will damp, if not completely reduce, any swaying motion. But the traditional solution doesn't work so well at scale — the swinging mass of the pendulum itself becomes a problem. This is where the 'tuned mass' damper system of the 2,073-foot Shanghai Tower comes into play. The physics of the damper work exactly as normal — a 1,000 ton weight hangs from steel cables. But two systems prevent the weight from moving too far or two fast: hydraulic rams, and a 'tunable', self-generated magnetic field.